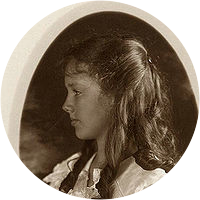 A collection of the best Anne Morrow Lindbergh quotations. There is no aristocracy of grief. Grief is a great leveler. Lost time was like a run in a stocking. It always got worse. Grief can't be shared. Everyone carries it alone, his own burden, his own way. Good conversation is as stimulating as black coffee, and just as hard to sleep after. Ideally, both members of a couple in love free each other to new and different worlds. I don't see why I am always asking for private, individual, selfish miracles when every year there are miracles like white dogwood. For is it not possible that middle age can be looked upon as a period of second flowering, second growth, even a kind of second adolescence? The world today does not understand, in either man or woman, the need to be alone. How inexplicable it seems. Anything else will be accepted as a better excuse. Once you get beyond the crust of the first pang it is all the same and you can easily bear it. It is just the transition from painlessness to pain that is so terrible. Only when one is connected to one's own core is one connected to others, I am beginning to discover. And, for me, the core, the inner spring, can best be refound through solitude. We tend not to choose the unknown, which might be a shock or a disappointment or simply a little difficult to cope with. And yet it is the unknown, with all its disappointments and surprises that is the most enriching. The intellectual is constantly betrayed by his vanity. God-like, he blandly assumes that he can express everything in words; whereas the things one loves, lives, and dies for are not, in the last analysis, completely expressible in words. A good relationship has a pattern like a dance and is built on some of the same rules. The partners do not need to hold on tightly, because they move confidently in the same pattern, intricate but gay and swift and free, like a country dance of Mozart's.